The gutters are vital for keeping the rain and runoff away from the house and foundation. Without the use of the gutters around the home, this rain would seep down into the foundation of the home, as well as the sides of the walls and roofing material and cause further issues inside the home. The integrity of your house would not be the same. This is why it is important to consider all that a gutter contractor can come out and do for you. When you know the job they’re able to handle is the one you need to have done, you can trust in them to come out and provide the work. Repairs throughout the entire gutter system may be required every so often. This means being able to have them connected, working well, no holes or leaks throughout the entire system and ensuring that the downspouts are in the proper place. When gutters have gone the course of their lifespan, then it is time for them to be replaced. This needs to be done with gutter contractors that can come out and provide replacement gutters for your home to keep the rain away from the house and foundation. When the gutters are not connected to the downspouts of the home, then this is something that must be done. The gutters collect the water and then the water goes down the downspouts that are away from the house. This is essential at keeping the home dry. Maintaining the gutters is always something that needs to be done. They have to be cleaned out, screwed in tighter and maintained throughout the year. 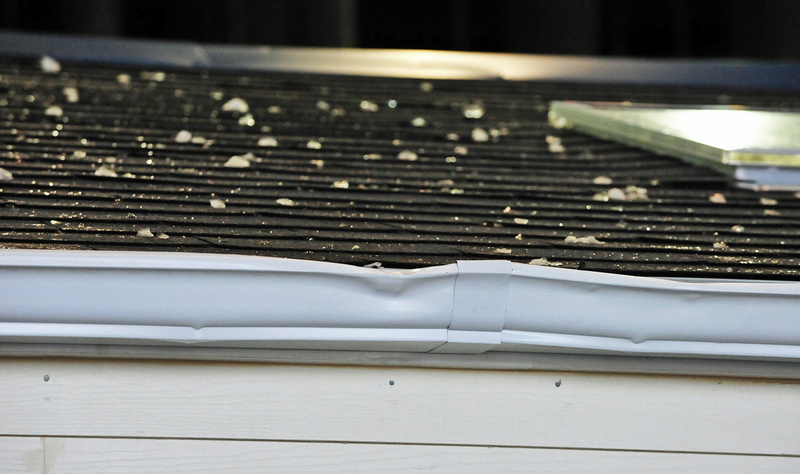 This is especially important in the fall and winter months, as there can end up being a lot of debris stuck inside the gutters. Anything and everything that has to do with your gutters can be done using a gutter contractor. Fill out the form below and we can help you get in contact with the gutter professionals working in your specific area. Contractors Today is here to help!